Still riding the wave from his widely supported OWSLA debut “Hot Drum,” JOYRYDE is back with a rap-meets-trap game-changer titled “Damn,” featuring Indiana-based rapper Freddie Gibbs. With a mixture of rhythmic vocals and heavy drops, this track has the dynamic appeal that has bolstered JOYRYDE’s swift rise to stardom. “Damn” is accompanied by a tripped out music video that takes viewers on a psychedelic JOYRYDE through a series of visual hallucinations and fractaling images. The video maintains the artist’s reimagined car imagery found in his stage production as an ongoing thematic element. In addition to spending time in the studio cooking up new original tracks, JOYRYDE has introduced a new full live stage production dubbed “C.A.R” (Calling All Rydrz)–complete with a full-size 1969 Dodge Charger on stage. 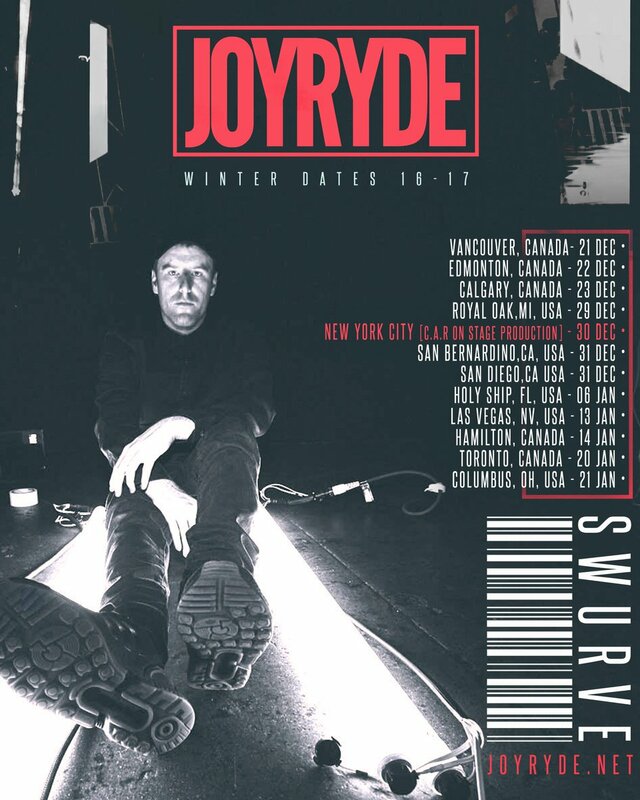 JOYRYDE premiered “C.A.R” earlier this September at his debut, sold-out show in Los Angeles and will be taking his show to New York City on Dec. 30 at Webster Hall with a full support line up announcing soon. Most recently, Joyryde was tapped as the first artist to curate Axwell’s ‘Weekend Weapons’ Spotify playlist.